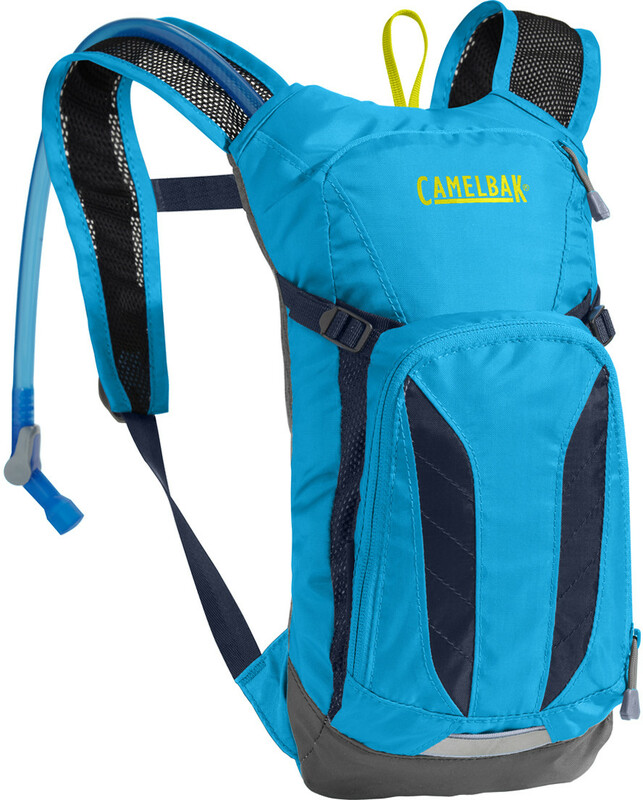 CamelBak: This pack has grownup features—1.5 liters of water, a bike tool organizer pocket, and zippered compartments for layers and essentials— in a package that fits younger explorers. We’ve also added reflective strips and a safety whistle to make kids easy to spot on the trail. PACK ONLY WEIGHT: 210g / 0 lb 7 oz TORSO FIT RANGE: 30-40cm / 12-16 in FABRIC: 200D Polyester Plain Weave / 210D Nylon Plain Weave FEATURES: • Crux delivers 20% more water per sip, with an ergonomic handle for easier refilling, and an on/off lever that makes it easy to prevent leaks. • Breathable air mesh back panel for a lightweight, comfortable fit. • Reflective accents for visibility in low-light environments. • Stretch overflow storage compartment lets you easily stash a rain shell or extra layer. • Safety whistle built into sternum strap.